Will real estate developer, who claimed innocence in 2012 lawsuit, break his silence? The biggest story of the week in Vancouver was the revelation that real estate developer Michael Mo Yeung Ching is among China’s 100 most-wanted fugitives, for alleged embezzlement in 1996. It is all part of Chinese president Xi Jinping’s much-ballyhooed anti-corruption campaign… which, for those charged, doesn’t yet include necessary measures that we enjoy in the west. Namely, presumption of innocence, an independent judiciary, fair and open trials and a free press. The former Cheng Muyang’s Mo Yeung International Enterprise Group developed Collection 45 in Mount Pleasant, is developing the International Trade Centre in Richmond and is a partner in the River Park Place near the Richmond Olympic Oval. The 45-year-old also owns 160 acres on Cortes Island that he wants to subdivide. The property contains an airstrip, gravel pit and lavender farm on the south end of the island. Ching’s land is just 2.5 kilometres by road (or less than 500 metres, as the crow flies) from Hollyhock, the new age retreat/resort frequented by Vancouver Mayor Gregor Robertson and Vision Vancouver bagman Joel Solomon. The video was produced before Ching bought the land. Ching is a member of the Liberal Party of Canada (membership number 102718071, I am told) and has broken bread with leader Justin Trudeau at the head table of a Liberal fundraiser. The party’s B.C. president is Robertson’s spokesman Braeden Caley (who has not responded for comment).The president of the B.C. youth wing? None other than Ching’s daughter Linda (who joined Caley and Vancouver-Quadra MP Joyce Murray to call Torontonians during a 2014 by-election). Michael Ching has not responded to my requests for comment. 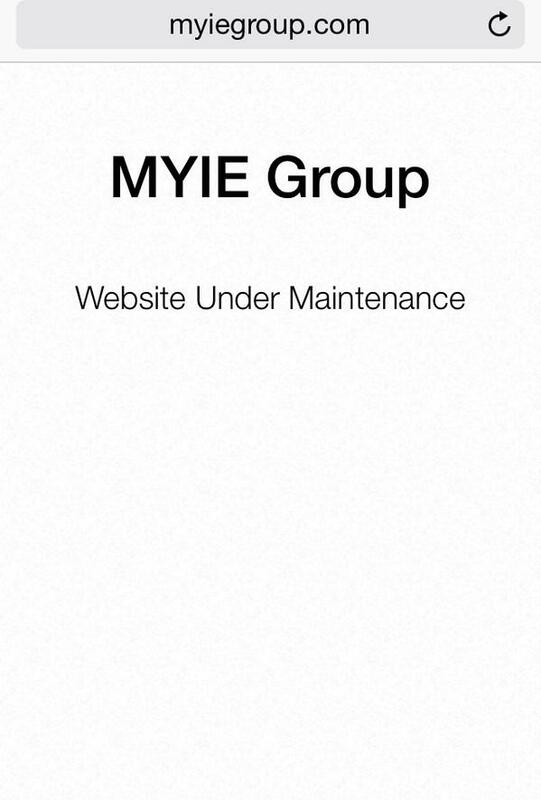 His MYIE Group website was online last week, but it has been “under maintenance” this week. During business hours. My most recent phone call to his office was during business hours, at 9:19 a.m. on April 30, it went to a general voice mail box that was full. Listen here. Ching was on my radar, before the 100 most-wanted list was released by the Chinese government. I found significant documents about Ching at the Federal Court registry in Vancouver on April 28 and was putting the finishing touches on my story early April 29 when I found Ian Young of the South China Morning Post broke the story. I still had an exclusive angle up my sleeve, when mine was published in the Vancouver Courier. In a nutshell, Ching sued the federal government in April 2012, claiming that the Chinese charges are false and unfounded, and evidence against him was gained by the torture of two people who allegedly had real estate dealings with Ching. Ching also alleged that the Chinese government lobbied the RCMP to help block him from getting Canadian citizenship. Those documents are below. Ching has a June 23 date in Federal Court in Winnipeg in a bid to overturn a November 2014 refugee application denial. I’ll keep you posted. You do an amazing job for us all, Mr Mackin, please keep it up. Eventually the queen of spades will be turned over, the showndown will come and the house of cards will fall. sometimes charges of corruption in China are a way of getting rid of someone who is a problem. but then on the other hand, this man was already out of China, so perhaps their government does have a case. Whatever the situation, some of our Canadian politicians might want to put some distance between themselves and him. On the other hand there was a time when some former head of CISIS, did say china was making in roads into our political system. I guess this could be just another e.g. Nice article. gives us all something to think about.